Celebrate Earth Day tomorrow, April 20, at Children's Museum Tucson, 200 S. 6th Ave. The free, family-friendly festival (10 a.m.-2 p.m.) will include activities for children, special events, and information booths promoting different organizations. Attendees will have the opportunity to learn about recycling, composting, gardening, and the fun of getting out and enjoying nature. A news conference and ribbon-cutting ceremony for the 934 kW solar installation at Reid Park will be held Monday, April 22, at 10 a.m., near the Rose Garden. Join Tucson Mayor Jonathan Rothschild, Tucson Parks and Recreation, the City's Environmental & General Services Department, and SOLON Corporation to celebrate the large amount of solar being built this year at City facilities. Light refreshments will be provided. Tucson is still in first place in its population category in the Wyland Foundation’s 2019 National Mayors' Challenge for Water Conservation. Continuing through April 30, residents in cities across the nation are pledging to save water and other natural resources in a friendly competition to win eco-friendly prizes. The Tucson Parks and Recreation department is hiring an experienced project manager with demonstrated success in leading multiple complex construction projects. The position manages projects and coordinates experts from different fields for the duration of each project. Tucson Parks and Recreation is seeking groundskeepers to maintain and repair amenities and grounds at City of Tucson parks. The position inspects equipment and facilities, conducts preventive maintenance, and ensures safety. Thursday, May 16, 2019 - 6 to 7:30 p.m. This weekend, “A” Mountain will host the Good Friday Cross Procession (La Procession de Viernes Santo) and Easter Sunday Sunrise Services (La Misa al Amanecer) which will restrict user access to Sentinel Peak Park. In order to accommodate these events, Sentinel Peak Road will close at 2 p.m. on Friday, April 19. The road will reopen for pedestrians and bicyclists on Saturday, April 20, at 8 a.m. and at 9 a.m. for vehicles. The roadway will again close on Saturday, April 20, at 8 p.m. and will reopen to vehicles at noon on Sunday, April 21. On Saturday, April 20, 2019, beginning at 7 a.m. to about 3 p.m., Sixth Avenue will be closed from 12th Street to 13th Street for the Tucson Earth Day Festival. Businesses, parking garages and parking lots are open and accessible during the road closure. There are over 15,000 available parking spaces in Downtown Tucson. The Tucson Earth Day Festival hours are: Saturday, 10 a.m. to 2 p.m. For more information about the Tucson Earth Day Festival, visit: http://www.childrensmuseumtucson.org/earthday. 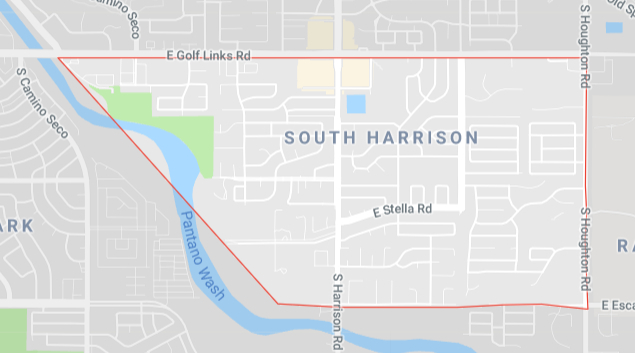 On Thursday, April 18, 2019, the traffic signals at the Grant Road and Alvernon Way intersection will not be in operation as work crews replace underground conduit and wiring at the intersection. The work will begin at 9 a.m. and is anticipated to be complete by 4 p.m. the same day. This schedule could change due to unforeseen circumstances. This weekend, “A” Mountain will host the Good Friday Cross Procession (La Procession de Viernes Santo) and Easter Sunday Sunrise Services (La Misa al Amanecer) which will restrict user access to Sentinel Peak Park. In order to accommodate these events, Sentinel Peak Road will close at 3 p.m. on Friday, April 19. The road will reopen for pedestrians and bicyclists on Saturday, April 20, at 8 a.m. and at 9 a.m. for vehicles. The roadway will again close on Saturday, April 20, at 8 p.m. and will reopen to vehicles at noon on Sunday, April 21. The Citizens' Commission on Public Service and Compensation (CCPSC) recommends a Nov. 5, 2019, ballot measure to let voters decide on Mayor and Council salary increases. The commission recommends that the City of Tucson's Charter be amended by adjusting the present salary for the mayor from $42,000 per year to $63,128 and increasing the annual pay of Tucson City Council members from $24,000 to $42,081. The Mayor and Tucson City Council still needs to give final approval before officially sending the salary question to the ballot. “A” Mountain will be the site of the Good Friday Cross Procession (La Processión de Viernes Santo) and Easter Sunday Sunrise Services (La Misa al Amanecer), which will restrict user access to Sentinel Peak Park. In order to accommodate these events, Sentinel Peak Road will close at 2 p.m. Friday, April 19. The road will reopen at 8 a.m. Saturday, April 20, for pedestrians and bicyclists and at 9 a.m. for vehicles. The roadway will again close Saturday, April 20, at 8 p.m. and will reopen to vehicles at noon Sunday, April 21. Southbound Sixth Avenue at Congress Street is closed to vehicular travel to allow a contractor to install new ADA-compliant ramps and sidewalks on the west side of Sixth Avenue. The southbound road closure is scheduled to be in place until 4 p.m. on Friday, April 19. You can expect delays when driving in the work area. Fencing around the area is allowing for continued pedestrian access. Please watch for construction personnel and equipment in the work zone.